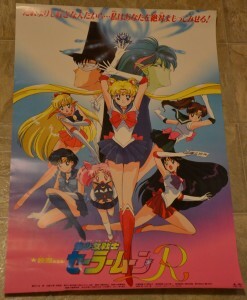 Here’s a really old Sailor Moon reference that I wasn’t aware of until just recently. 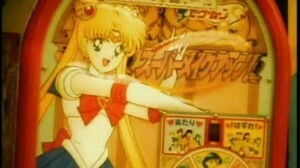 Sailor Moon makes an appearance in Jon Bovi’s 1996 music video for the song “These Days”. At one point the song shows a quick couple of seconds of Japan and at that point an image of some sort of Sailor Moon S machine is shown. I’m not sure what this is, pachinko, slot machine, pinball machine? My searches didn’t turn up anything particular so if you have an idea of what it could be, drop us a line. 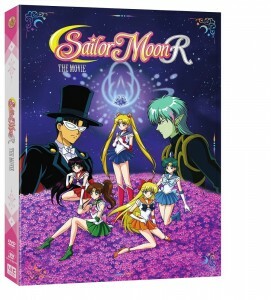 This reminded me of another bizarre music reference to Sailor Moon in the CD inserts for U2’s “Best of 1990-2000″ CD release. 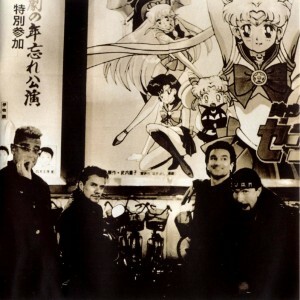 This picture of the band in front of a large Sailor Moon R The Movie poster was likely taken during their 1992-1993 Zoo TV tour which was going on while Sailor Moon R was in theatres. 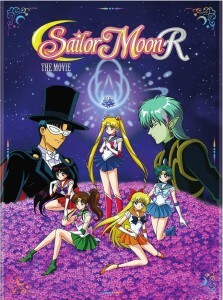 Check out the original Sailor Moon R The Movie poster and the music video featuring Sailor Moon below.